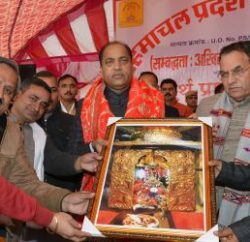 Chief Minister Prem Kumar Dhumal dedicated Govt. Beetan College complex to the students in Sankokhgarh Assembly Segment of Una District today and added that Rs. 6.70cr were spent on it which provide higher educational facility to the students of rural areas. Chief Minister also congratulated the teachers and students on the occasion and said that State Government is committed to provide higher educational facilities to the youth of rural areas of the State. 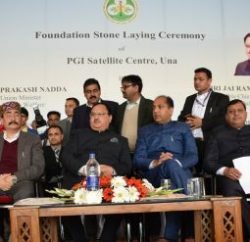 He said that State Government is establishing new development milestones in every area of the State and added that efforts were also afoot to develop the State as education hub. He also wished for brought future of the students.